The new Seattle Public Library is one of the most fantastic buildings I've ever seen. Inside and out, it's a photographer's dream. 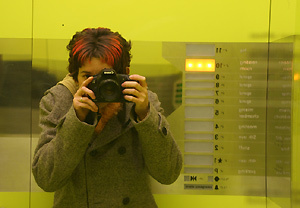 Here I am reflected in an elevator.